In a move similar to one made by Yelp several months ago, Google has updated their online review policy, targeting businesses that are either soliciting only positive reviews or discouraging negative ones. In other words, Google is now changing it’s tone about how you can ask for reviews from your customers. Though the wording of their new policy leaves some room for speculation, it’s important to first understand what efforts fall under this policy update. Now is the ideal time to reassess your efforts and ensure they fit into the new guidelines set out by Google. Like many businesses in today’s digital world, yours probably has some sort of system in place when it comes to collecting reviews. Perhaps you simply have signs visible to customers noting which review platforms your business is on, or maybe you have your customers information which enables you to send out emails after a recent visit to your business, requesting feedback in its purest form. Whatever strategy you have in place, now is the ideal time to reassess your efforts and ensure they fit into the new guidelines set out by Google. As a business owner, it can be hard to see the how such proactive measures can be viewed so negatively in the eyes of these online review platforms such as Yelp and Google. From your vantage point, you’re simply looking for feedback to enhance a consumer’s overall experience with your service or product. Naturally, if a customer had a negative experience, you’d like the chance to address the situation and make amends prior to this experience ending up on a third party review site. This is a proactive approach to reputation management, one that we at ReviewPush would call a best practice in the realm of manning one’s online presence. Although many companies utilize similar tactics, such as incorporating customizable landing page links in feedback requests sent via email; Google has now ruled these actions unacceptable on their review platform. 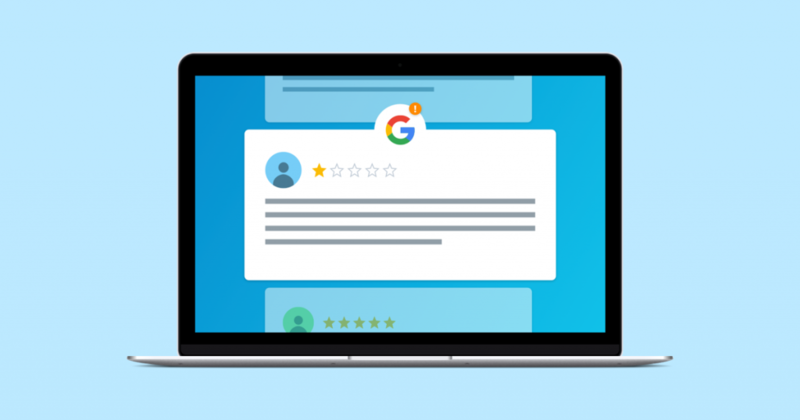 Although your business likely uses techniques such as feedback request emails or in-house signage in efforts to encourage patrons to provide customer feedback, you may need to restructure your game plan as it pertains to Google reviews. Whether you’re engaging in fair and honest review solicitation is no longer of concern to Google. The new policy states how businesses with Google My Business accounts are no longer able to, “discourage or prohibit negative reviews or selectively solicit positive reviews from customers”. While your intention to gather feedback to resolve potential issues before they arise — thus proactively managing your online presence across various platforms — may have been implemented with the purest intentions; these rules and regulations must be followed. This doesn’t mean you should throw away your feedback inquiry process as a whole, but rather readjust your plan as it pertains to Google. For instance, if your landing page previously directed customers to Google if their review was a positive one; simply change the landing point to a different, popular review platform — such as Facebook. While it may be tempting to dismiss this policy change and move forward without adjusting your current review collection strategy, this route doesn’t come without an immediate threat to take down the reputation you’ve worked tirelessly to build on Google. For instance, if your business were to ignore this change and continue on the same feedback request path you’ve had such success with, you’re inevitably going to find yourself in hot water. In the past, when a business acted out against Google’s set review guidelines and was reported for doing so, Google simply erased any trace of feedback relative to that business. What’s worse than having a business with some negative reviews? A business with no reviews. 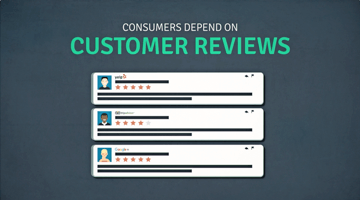 These days, online reviews are just as reputable and trustworthy as a word-of-mouth recommendation from a friend or family member. In the eyes of a consumer, seeing a business that lacks reviews of any sort is a red flag. For a consumer, finding a business online that has no reviews signifies three things right off the bat: 1.) this company is not providing a service that others see as valuable; 2.) they simply don’t care about the customer experience; and 3.) they might not be a trustworthy, respectable business. Of course, not every business without reviews is a bad one. However, when all the consumer has to gauge your business is what they can find on a Google search, you may want to consider investing in an online reputation management tool that turns the seemingly impossible task of collecting consumer feedback into an easy-to-implement-and-manage one. Online review platforms are constantly updating their policies, requiring companies such as ReviewPush to slightly alter how they’re utilized; ensuring each customer has the best user experience possible. Ultimately, this new policy from Google doesn’t signify the end of your existence on Google; it just alters how you must go about collecting Google reviews. Our last piece of advice? Give us a call. With over 19,000 businesses trusting us with their online reputation, we know what it means to be a customer-centric business, and are always looking for ways to better serve you — the customer. Don’t let Google’s policy update scare you away from online reviews. With 90% of consumers reading reviews of a business prior to ever contacting them, you’ll want to ensure you’re covered from all angles. 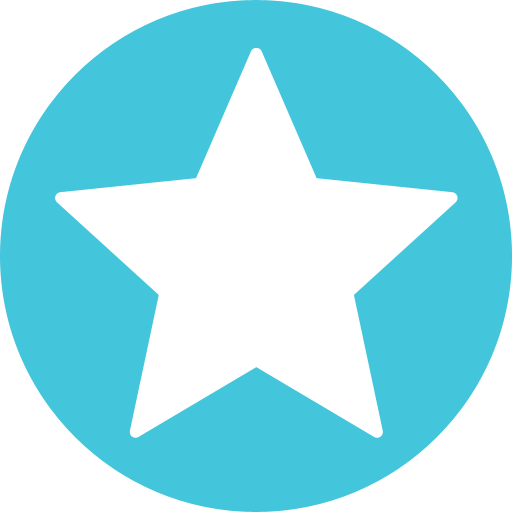 With ReviewPush on your side, you’ll stay up-to-date regarding policy changes from influential platforms and can rest assured that we have your back every step of the way.